This flavorful chilled red wine sangria recipe is the perfect complement to a romantic dinner. 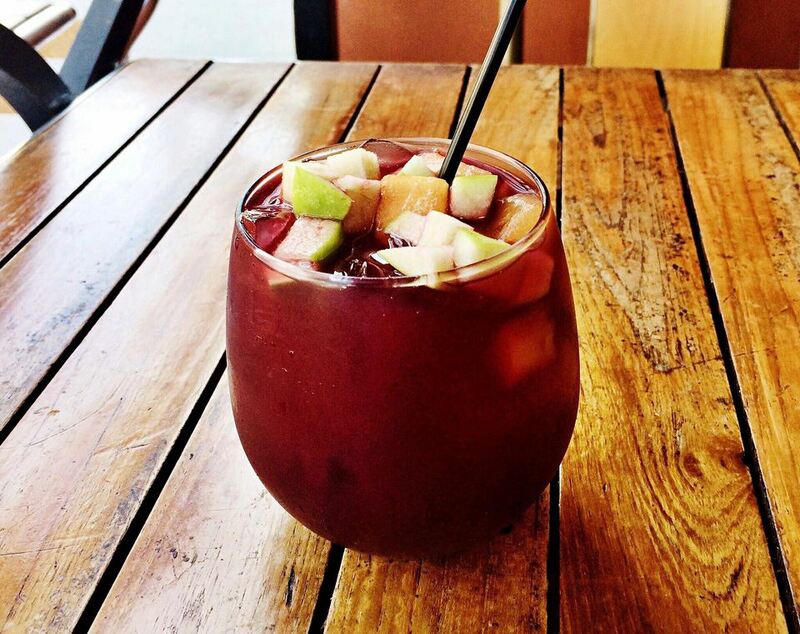 Made with red wine of any kind, Grand Marnier, apples, oranges, and lime. Mix all the sangria ingredients together and allow to sit in the fridge at least 2 hours, preferably overnight. Strain, if desired, and serve your sangria over ice.